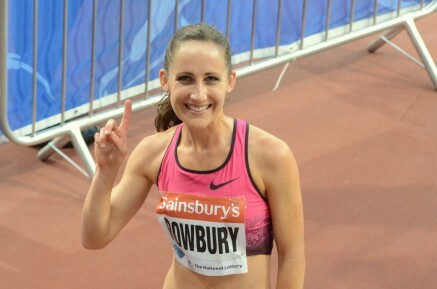 1st February 2015 – There were some exceptional performances over the weekend from PACE athletes that saw both the current world lists and all-time lists have to be rewritten. Literally leading the way was Matthew Centrowitz (USA) as he ran the opening 1200m leg for the USA team that subsequently went on to break the World Record for the Distance Medley Relay (DMR). Matthew ran 2:49.47 to set the US team on their way. The final time of 9:19.94 was over 6 seconds inside the previous record. At the same meeting in New York Jordan Hasay (USA) showed a great turn of speed over the final 200m to take the womens 2 mile race in 9:38.28. In a competitive womens 800m Mary Cain (USA) took fifth place in 2:02.75 and Galen Rupp (USA) was fourth over 2 miles in 8:17.24. At the Camel City meeting in North Carolina, Shannon Rowbury (USA) gave the performance of the meeting. Tucked in behind the pacemaker for the first half of the 1 mile race, Shannon took the pace on as soon as she stepped aside and needed no help to stretch the field. With a 32 second last 200m she only continued to move away and crossed the line in 4:22.69 for a World Leading time and number five on the all-time list. World Junior 100m Champion Dina Asher-Smith (GBR) officially arrived on the senior stage with a dominant display in Karlsruhe. She comfortably qualified from her 60m heat in 7.12 seconds and then ran exactly the same time to convincingly win the final. For a few hours this gave her a share of the World Leading time. In Moscow the only challengers to Bethwel Birgen (KEN) and Vincent Kibet (KEN) in the 1500m were each other. Bethwel had taken the win in Dusseldorf on Thursday but Vincent was able to reverse the roles this time and just managed to get past Bethwel at the end. They timed 3:37.79 and 3:37.81 respectively, making Vincent the current World Leader and Bethwel number two. Andrew Osagie (GBR) also had a strong showing for his second race in 4 days taking second place in the 600m in 1:16.50. Away from the track at the European Clubs Cross-Country Championships in Guadalajara, Spain, Steph Twell (GBR) took fourth place individually helping her club to win the bronze medals.